Babies process words using the same brain structures as adults, and in the same amount of time, according to a study by the University of California, San Diego. They are also able to understand words as more than simple sounds and comprehend the meanings of many of the words they hear. “Babies are using the same brain mechanisms as adults to access the meaning of words from what is thought to be a mental ‘database’ of meanings, a database which is continually being updated right into adulthood,” says first author Katherine E. Travis of the Department of Neurosciences and the Multimodal Imaging Laboratory. For the study, scientists used MRI and MEG (scan that measures magnetic fields emitted by neurons in the brain) to non-invasively analyze brain activity in infants, ages 12 to 18 months. It was previously assumed that babies process words with a completely different learning mechanism, and it was believed that learning begins primitively—later evolving into the more “adult way” of learning. It has been difficult for scientists to figure out which areas of the brain are most involved in language learning because there is a lack information on how this process works in the developing brain. Although lesions in two brain areas — Broca’s and Wernicke’s — have long been associated with loss of language skills in adults, these areas seem to have little impact on language development in early childhood. Some scientists have addressed this anomaly by theorizing that the right hemisphere and inferior frontal regions are vital for childhood language development, and that the other language areas of adulthood become dominant only when language development has matured. Others have hypothesized that the plasticity of an infant’s brain allows other regions to take over the work of language-learning if the left frontotemporal regions become damaged at a young age. During the first part of the experiment, the babies listened to words accompanied with sounds that have similar acoustic properties, but no meaning, to see if the infants could determine the difference between the two. In the second part, the researchers wanted to see if the babies were able to understand the meaning of these words. For example, babies were shown pictures of familiar objects and then heard words that were either the correct or incorrect names for these objects: a picture of a ball followed by the spoken word ball, versus a picture of a ball followed by the spoken word dog. It was determined through brain images that the infants could detect the mismatch between a picture and a word, as shown by the degree of brain activity. An incorrectly matched word triggered a classic brain response located in the same left frontotemporal areas known to process word meaning in the adult brain. 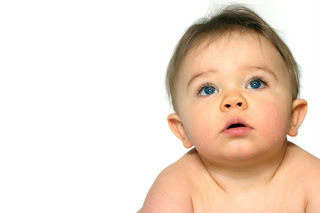 The tests were then given to adults to confirm if the same mismatched picture/word combinations shown to babies would create larger responses in left frontotemporal areas. “Our study shows that the neural machinery used by adults to understand words is already functional when words are first being learned,” said Eric Halgren, Ph.D., professor of radiology in the School of Medicine. The scientists believe the results could affect future studies. For example, the development of brain imaging tests could diagnose whether a baby has normal word understanding even before he or she can talk. 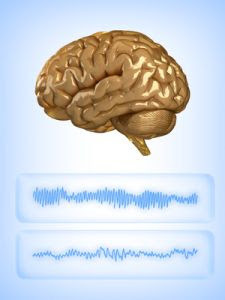 This could allow early prediction for language disabilities or autism. Crush injury is simply any injury to your body that is a result of trauma. These injuries could range from minor contusions to severe injuries that could damage a limb. It could be several tissues such as the skin, the muscles and tendons to bone and joints. These can result in osteomyelitis, failing union of fractures, failed flaps and amputations. The trauma can also result in skeleton muscle compartment syndrome (SMCS) which targets the muscles and the nerves. It is quite a challenge to manage the SMCS but it does not mean that it cannot be managed. This is where the crush injury hyperbaric becomes handy. It should be used as an adjunct to the management of the crush injuries or SMCS conditions. We therefore need to consider the two ways by which the crush injury treatment that incorporates the hyperbaric oxygen works. First, it is important to note that during the initial stages of injury perfusion is likely to be inadequate. 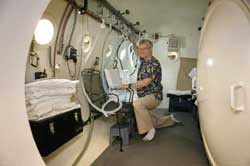 At such a time, immediate use of the hyperbaric oxygen makes more sense as it would supplement the supply of oxygen. The second way that really makes the use of hyperbaric oxygen useful is that it increases the tissue oxygen tension to the sufficient levels. Increased tissue oxygen in the plasma keeps the tissues alive without the oxygen that is borne from hemoglobin. When the tension of tissue oxygen is increased, the effects of hypoxia that were initially felt when there was oxygen deficiency is countered. The other advantage that results from crush injury hyperbaric oxygen is the reduction of blood flow by up to 20 percent. The oxygen increases the induction of vasoconstriction and this is what causes the reduction. This in the end reduces edema. The filtration of the fluid that comes from the capillary to the extracellular space is also maintained. The same treatment regime ensures that there is mitigation of reperfusion. This in turn interrupts the toxic oxygen radicals and the cell membrane. But you may ask how is that possible? Well, it actually perturbs lipid peroxiadation of the cell membrane and prevents the sequestration of neutrophils on the post capillary venules. The other benefit of crush injury treatment hyperbaric is that it assists in provision of the oxygenated environment. Superoxide dismutase, catalase, peroxidase and glulathione which are useful for detoxification of reactive oxygen species actually depend in such environment to thrive. When the crush injuries present in their severe forms, you should not think twice. You would be safe if you can quickly make use of the hyperbaric oxygen intervention that is quite effective. It is the only sensible and best way through which you would be able to counteract the pathophysiological events that occur when you have encountered a crush injury. The intervention is the sure way through which you will reduce loss of the muscle functions, the metabolites that come with muscle injury, edema and even muscle necrosis. Of course, this treatment is to be used together with the usual surgical and medical interventions that are in place. 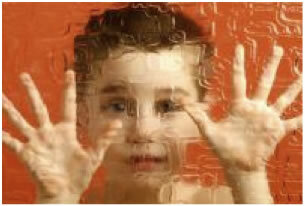 There is an estimated 1 to 1.5 million Autistic individuals in the United States. With an annual growth rate of 11-16%, and a 172% increase from the 1990’s, Autism is the fastest growing developmental disability in this country. The condition effects communication and social interactions and is the effect of neurological dysfunction. Autism is a spectrum disorder, with varying degrees of impact and is the most common of the Pervasive Developmental Disorders (PDD). Other disorders in this spectrum range include; Asperger's Syndrome, Rett's Disorder, Childhood Disintegrative Disorder and Not Otherwise Specified Pervasive Development Disorder.Hyperbaric Oxygen Therapy used in AutismHyperbaric oxygen therapy (HBOT) has been utilized to treat Autism in many countries throughout the globe. The rationale behind using hyperbaric for Autism is that the treatments increase cerebral blood flow and thus oxygen is delivered to areas of the brain, which are thought to be oxygen deficient. Greater amounts of blood and oxygen begin to stimulate cerebral tissues and aid in recovery of idling neurons. HBOT also reduces excess fluids and swelling of brain tissues which aid in neurological function.HBOT is also used as a complementary therapy for the treatment of heavy metal detox for such materials as mercury. Hyperbaric assists in the metabolism of heavy metal removal. It can help a patient counteract the effects of heavy metal poisoning and helps body deal with toxins even as noxious as cyanide. It is often used in conjunction with chelation and other detox procedures to help support the body to deal with the impact commonly seen in the removal of heavy metals, mercury, toxins, and other contaminants.Worldwide, medical researchers are discovering promising results with the effects of hyperbaric therapy on persons with Autism.In recent studies, measuring the effects of hyperbaric oxygen therapy on Autistic children ages 1-11 yrs, researchers found a total effectiveness of hyperbaric in 93.6 % of study participants. Researchers theorized that HBOT was effective in combating autoimmunity and the viral aspects of these conditions when encephalitis was present.So the question is- how can hyperbaric help with Autism? Scientists have varying opinions on why the therapy is so successful as a treatment for the condition. Some theories suggest that the brain in some persons with Autism, as well as Cerebral Palsy and other neurological disorders, is lacking oxygen and in a dormant, or sleeping state due to lack of blood flow. Hyperbaric forces oxygen into tissues throughout the body including brain tissues and fluid, resulting in a re-awakening of dormant areas of the brain. 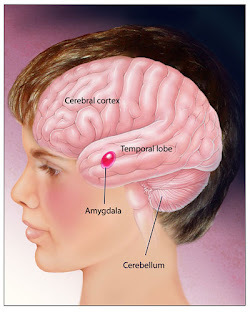 Other theories state that excessive swelling in the brain results in a lack of oxygen causing cerebral impairment that can cause behavioral problems, confusion, etc. Oxygen is forced into these damaged areas, through the pressurization of hyperbaric, which alleviates brain swelling by constricting blood vessels. In addition, hyperbaric is thought to provide an optimal environment to assist in the regeneration of brain tissue. Rapid Recovery @ the 2011 I.E. Holistic Expo! Come out and visit the Rapid Recovery Hyperbarics booth at the 2011 Inland Empire Holistic Expo!!! Hyperbaric Oxygen simply means oxygen given at increased barometric pressure. The complex and almost continuous electrical activity of the brain is so discreet that we are unaware that it is the mechanism behind communication and thus intellectual and motor function. Brain injury can lead to a blockage of the electrical pathways. 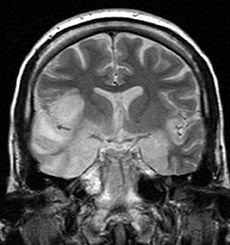 SPECT scans (computerized brain mapping) show that not only does brain injury produce cell death, but it also reduces essential blood flow to a wider area of brain tissue surrounding the dead cells where signal re-routing might be expected to take place. After brain injury many blood capillaries around the area of cell death become torn open. The liquid part of the blood (the plasma) then leaks out, causing a swelling that may be very extensive. This reduces cerebral blood flow in the affected areas. Reduction in blood flow means a reduction of essential nutrition (most vital oxygen), and a build up of waste products from local biochemical reactions (e.g. lactate and calcium), which shuts down normal cell function and further blocks pathways. If the capillaries are to heal, they desperately need oxygen. Unfortunately, the tiny tubules leading to the torn capillaries become constricted because of the damage. Hyperbaric oxygen for perianal Crohn's disease. Lavy A, Weisz G, Adir Y, Ramon Y, Melamed Y, Eidelman S. Department of Gastroenterology, Rambam Medical Center, Haifa, Israel. Perianal involvement in Crohn's disease is common, distressing, and frequently refractory to treatment. Clinical features include painful induration and stenosis, discharging fistulas, and fissures. The pathogenesis of these lesions is unclear, but local ischemia and secondary anaerobic infection may play a role. Following three sporadic reports of successful treatment with hyperbaric oxygen (HBO), we undertook a trial of this method in 10 patients with refractory perianal disease. These patients' perianal Crohn's disease had not responded to treatment that included local medications, salicylates, corticosteroids, metronidazole, or 6-mercaptopurine were treated. Treatment was administered in a hyperbaric chamber at a pressure of 2.5 atm absolute. Each session lasted 90 min, and each course consisted of 20 daily sessions. Complete healing occurred in 5 patients after one to two courses. In an additional 2, after three courses, 1 patient improved but did not heal, and 2 did not improve. No adverse effects were noted by any of the 10 patients. Follow-up of 18 months did not reveal any recurrence. These preliminary results confirm that HBOT therapy is a safe and efficient therapeutic option for perianal Crohn's disease. 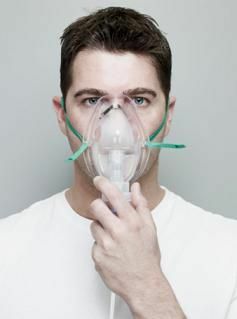 Hypoxia is a state of oxygen deficiency in the body, which is sufficient to cause an impairment of function. Hypoxia is caused by the reduction in partial pressure of oxygen, inadequate oxygen transport, or the inability of the tissues to use oxygen. In brief, being drunk is kind of the same as being exposed to high altitude. In both cases, oxygen to your brain and muscles is reduced. MONDAY, Dec. 19 2009 (HealthDay News) -- New research with rats suggests that oxygen deprivation during birth could be a contributing cause of autism. There's no easy way to test the oxygen-deprivation theory in humans, and the finding isn't likely to lead to better treatments in the near future. Still, the research gives scientists greater insight into how factors other than genetics may play a role in autism, said Fabrizio Strata, a neuroscience researcher at the University of California, San Francisco and co-author of the study. Symptoms of autism, the most common condition in a group of developmental disorders known as autism spectrum disorders, can range from mild to severe. The disability usually strikes by age 3. It lasts a lifetime, and there is no cure, although some people with autism can learn to function well. According to the U.S. Centers for Disease Control and Prevention , autism is characterized by three distinctive behaviors. Autistic children have difficulties with social interaction, display problems with verbal and nonverbal communication, and exhibit repetitive behaviors or narrow, obsessive interests. Scientists are not certain what causes autism, but it is likely that both genetics and environment play a role. For reasons that aren't clear, autism seems to have become more common in recent years. 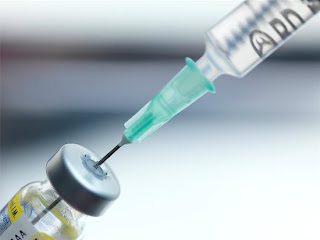 One hotly debated theory suggests that vaccines are responsible, although some studies have failed to find a link. Oxygen deprivation during birth is considered one possible cause because it can lead to brain damage . By boosting the level of nitrogen in the air, Strata and colleagues deprived rat pups of normal levels of oxygen for as long as 10 to 12 minutes during birth. When the rats grew older, they displayed symptoms similar to those found in autistic children. It took longer for the rats to respond to some sounds, for example, and the brain regions that handle sound were disrupted. Why would a baby be oxygen-deprived in the first place? According to Strata, a complicated labor can cut off a newborn's oxygen supply, as can a twisted umbilical cord. Andy Shih, chief science officer with the National Alliance for Autism Research, said the oxygen-deprivation study presents an "interesting hypothesis," although the research hasn't been confirmed in humans. It's possible that future research could lead to changes in obstetric practices to minimize the chance that babies will go without oxygen, Shih said. But "we're far away from that at this point." The study findings appear in the Dec. 19-24 issue of the Proceedings of the National Academy of Sciences. Exciting new things for RRH!!! We are so excited for all the new things happening at Rapid Recovery Hyperbarics! Our new location is opening soon, and a new website!